When it comes to your health, your mind and your body are put into two very different categories. Normally, when you address the medical issues you are having with your physical side, your mental health will often fall into place. The thing is, it doesn’t work that way for someone who suffers with their mental health. They can have the perfect family, the perfect career and be in the optimum health – but that doesn’t mean that they will be healthy mentally – and that’s the main struggle. Sometimes, your physical health has to wait in line behind your mental health, and it’s not always easy to take that step. 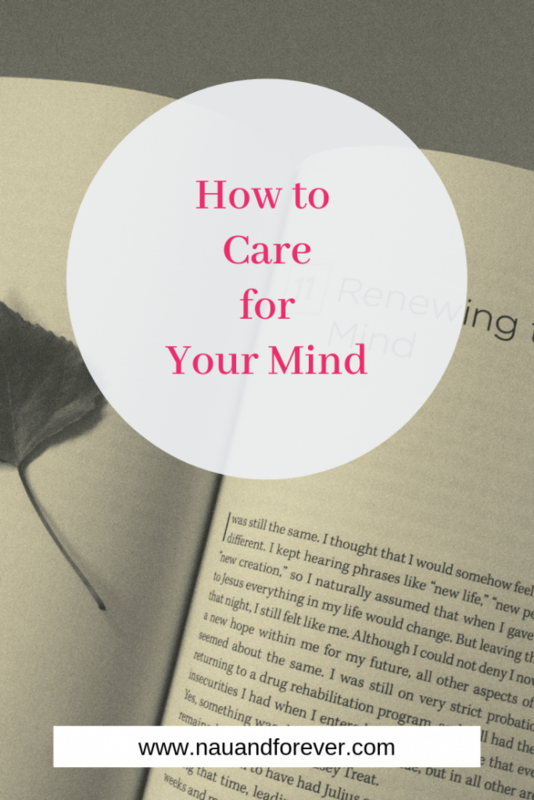 You need to know how to care for your mind. The focus on mental health has flooded the media in recent years, and this is because people are finally speaking out when they are in pain and finding life a lot more of a struggle than they should. Stress may seem like something that only exists in your head, but the physical changes in the body because of stress can mean that you are physically struggling with it – and that just won’t do. We need to remember that the brain is an organ. If your kidneys were having trouble, you’d treat the problem, and you should be doing the same with your brain. The difficulty is knowing where to begin. Checking yourself in as an outpatient to a facility that can give you the therapy and support that you need is always a good idea, as you can get a continued level of help from experts who know how to help you. Addressing your mental wellbeing is a process that you have to be willing to undertake. We’ve got some of the best steps to get you to put your mind first, always. Disconnecting from the demands in your life is important. Your spouse, job and children are all going to put pressure on you (not always negatively, but pressure nonetheless), and you need to learn to be selfish sometimes. The thing is, selfish isn’t always a bad thing. It can help you to heal yourself mentally, allowing you to be the best spouse, coworker, and mother possible. The next step is to seek help. Whether you do this with a reputable therapist, or you simply want to stick to talking to your friends, you need to feel good and learn to let go of the things that are stressing you out the most. Figure out what could help you, then seek it out. Start to enjoy doing things that make you happy. You may spend a lot of time doing things for everyone else, but this isn’t going to help you to improve your mental wellbeing. It’s time to recognize that you are worth doing things for, and you should take time to say no to others who are asking you to put yourself and your health second. Practicing self-care isn’t always easy. We often think that we have to put others before ourselves. Taking care of you will help you take better care of those around you. You have to care for your mind. Want more tips on self-care? Check out this post here with advice on self-care! International medical insurance is widely sought-after. These policies are designed to cover individuals irrespective of where in the world they are located. They provide policyholders with access to the best network of hospitals, professionals, and facilities on a worldwide scale. This not only ensures ultimate peace of mind but financial protection as well. Read on to discover some key signs that you need to take out a worldwide health insurance plan. International medical insurance has actually been designed with expats in mind. If you are planning on moving to another country, whether it be for work purposes, retirement or another reason altogether, you need to sort out a worldwide health insurance plan before you leave. There is no guarantee that your new destination is going to have a high standard of public healthcare. Even if it does, there is no guarantee that you will have access to it. Plus, in some countries, some forms of care, for example, a bulimia recovery program, will only be available if you have taken out private insurance and can, therefore, see a private specialist. So, don’t leave anything to chance. Do you have full confidence in your current doctor? Are you satisfied that if you were to fall ill you would have access to a high standard of health care? Are you content with the fact that you have no control over the medical professional who will look after you if you are taken ill? If you are not able to answer yes to all of those questions, you should definitely consider worldwide health insurance. By taking out one of these policies you will have control over the hospital and doctor network you have access to and therefore you can be certain you will benefit from the very best health care. Of course, travel insurance is available. However, if you really want to benefit from ultimate protection, global medical insurance is a much better option. Travel insurance is typically trip/country specific and the level of cover is minimal. Sometimes, you’re only covered if a serious emergency arises. With international health insurance, you may be covered for everything from maternity care, to vaccinations, to dental care, to check-ups and more. 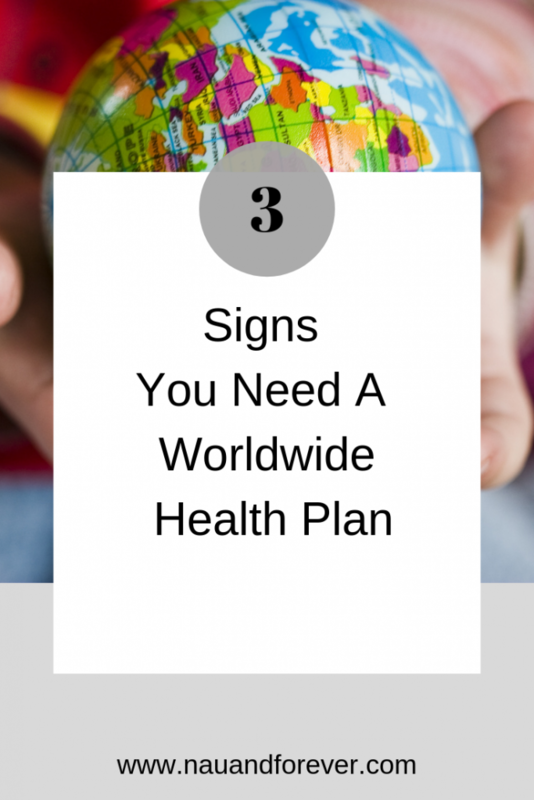 Do You Need a Worldwide Health Plan? Depending on your lifestyle, you may benefit from a worldwide health plan. Just like with any health insurance, you should weigh your options and find the best plan to suit your needs. When you become a parent, you don’t tend to focus on when your kids become actual people with their own lives, Instead, you tend to focus more on the here and now. However, kids grow fast and before you know it, your little ones will become teenagers with their own lives and a whole different set of parenting needs. It’s important to teach our young adults about good teen health. The issue is that when they’re little, it’s far simpler and easier to parent your kids, because you’re in control. However, once they reach a certain age, it becomes less about controlling your children’s health and wellnes and more about teaching them to take care of themselves. These are important life lessons for them to learn, as taking care of your health is a crucial lesson for adult life, and one that everyone should have at one point or another. 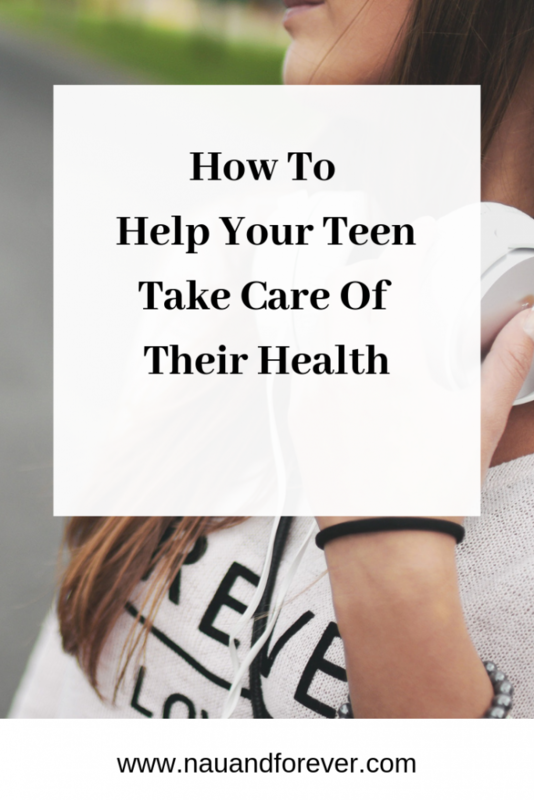 Of course, the question is: how can you go about helping your teen to take care of their health? It’s essential that when it comes to health and wellness, that your teens understand the importance of making healthy choices and what it takes for them to stay healthy. It’s important to be open with your children and talk to them about whatever you feel is neccessary to discuss, from sexual health and wellness to general and day-to-day health and wellbeing – there’s plenty to discuss. If there are topics that you don’t feel comfortable talking about or feel that your kids will be embarrassed to talk about, the best thing to do is to give them a book on the topic that they can read at their leisure. It’s also essential that you teach your kids to take medical checkups seriously. When they’re little, it’s up to you to ensure that your little ones are attending all of the most vital medical checkups. However, as they get older, it then falls on them to take more responsibility. You are no longer in control of whether they choose to attend or not. For instance, your teen needs braces from an orthodontist that uses orthodontic dental labs, you don’t want them skipping appointments. Txeaching them the importance of making medical appointments a priority is a must. Teenagers are known for being lazy and eating whatever they like, which can lead to health problems, which is why it’s essential that you encourage your kids to exercise regularly and eat healthily. One of the best ways to do this is to ensure that as a family you are as active as possible and do lots of outdoor activities and sports, such as hiking and cycling, for instance. It’s also essential that when it comes to cooking, that you cook plenty of homemade, healthy food for your family. Encouraging good teen health is so important. Being a parent comes with many challenges, one of the most complex of which being encouraging your teen and other children to take care of themselves. Teaching good habits now will help them make healthier decisions their entire lives. Christmas is 6 days away! I’m not sure how that’s even possible, but here we are. Per usual, I’m not finished with my Christmas shopping. I’m a rebel like that. Lucky for me (and for you other rebels), there are still plenty of incredible deals for last minute gift ideas. 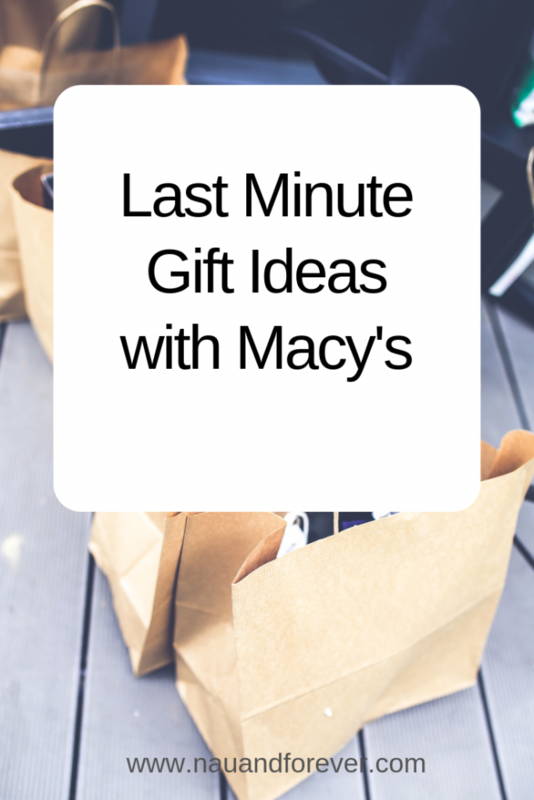 Enter: Macy’s last minute gift ideas. So here’s the deal. This is Macy’s LAST one day sale of 2018! And just like all the other sales they do throughout the year, it does not disappoint! Free Shipping on Orders Over $25+. Want even more savings? (Obvi, that was a trick question!) You can get $10 back on orders of $50+ or $25 back on orders of $100+. This stackable rebate is valid on purchases made through 12/31/18. Find the form here! I love browsing great deals and I have to share the incredible mark-downs that I’ve found on Macy’s. 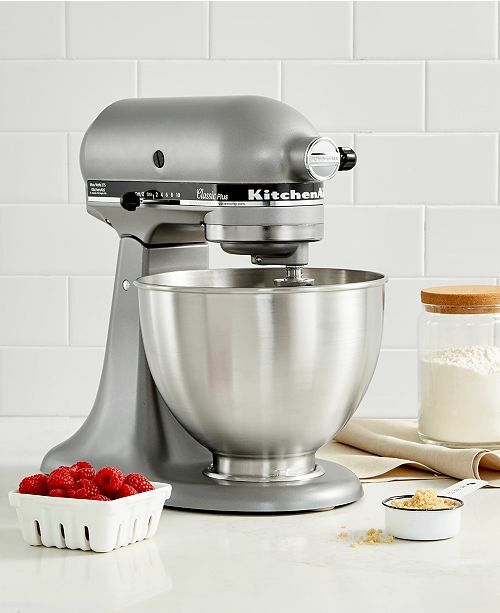 I’ve always wanted a KitchenAid Stand Mixer and at $189.99, this is a steal! This is a perfect gift for the baker in your life! Do you have someone on your gift list who loves to travel? Get them some great new luggage. From laptop bags to suitcases, there is something for everyone. If you want to snag some gorgeous ornaments or other Christmas decor, check out Macy’s selection for some great last minute gift ideas or just something for yourself. If you love a giveaway like I do, you’re in luck! 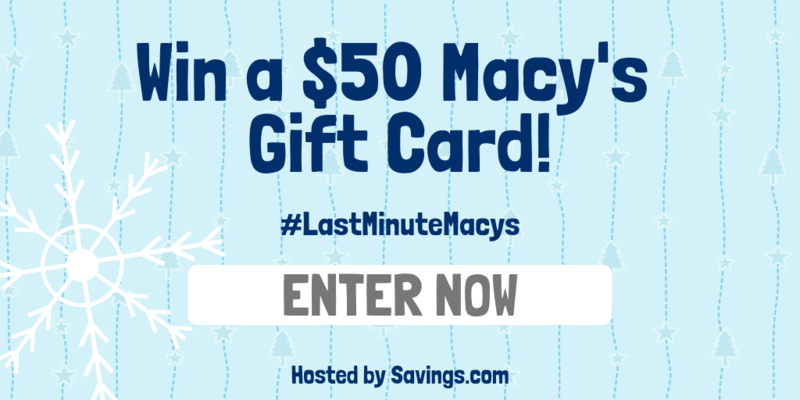 In honor of this #LastMinuteMacys sale, you are eligible to win one of 20 $50 Macy’s gift cards to support their last One Day Sale of the year! I have to know. Are you a last minute shopper or do you check off your Christmas gift list by Cyber Monday? It can be hard to stay healthy in the modern world, with people having access to more damaging lifestyle options than ever before. Temptation can be found around every corner. Most people struggle to avoid falling into the trap of embracing things that impact the work they put into their fitness. 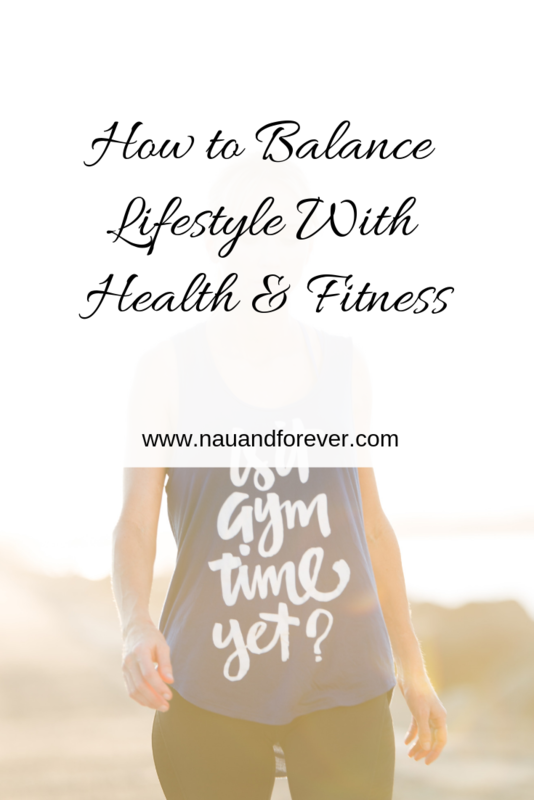 Let’s explore some of the key areas to focus on when you’re balancing health and fitness. Not a lot of people realize quite how important their sleep is to their everyday life. This aspect of your living will impact you in loads of different areas, from your physical health to your ability to lose weight, and most people don’t do much about it. You should be aiming to get at least seven hours of quality sleep each night. While this may seem like a lot, going to be early will almost always make the mornings easier, especially if you have a very intense job. Everyone likes to have fun once in a while, and embracing the chance to unwind can often be good for your mental health. Of course, though, if you abuse substances or drink too much, you will quickly start to notice the impact. Substance abuse counseling comes in loads of shapes and forms. It will give you access to support which can free you from an addiction. It’s worth looking at if you think that your efforts in the field of health are going to waste. Humans are social creatures, with the people you spend time with each day being very important, and your mental health hinging on your ability to spend time with others. When you’re mind takes a knock, your body will also find it hard to keep itself healthy, and this results in a lot of people not feeling up to going to the gym. If you can, recruiting some friends to spend time at the gym with you can be a great way to tie fitness and social time together. Finally, as the last area to consider, it’s time to think about stress and anxiety. These two features of life are very common, and a lot of people suffer without realizing that they can get help. If you need support with something like this, talking to your doctor is the best option. They will be able to refer you to someone with the right skills to help. Being stressed all the time will make it impossible to keep yourself fit and healthy. Are you feeling inspired to start cleaning up the parts of your life which could be getting in the way of your time at the gym? A lot of people struggle with this kind of work, finding it hard to know where to turn when they need help, even when they have support all around them. It’s totally possible to live a lifestyle balancing health and fitness. If you need help learning to live a balanced lifestyle while accomplishing your goals, check out my coaching options. I’d love to get to know you and see how I can help you crush your goals. For many people who suffer from extremely high levels of stress, their doctor might be their first port of call. However, not everyone wants to see a medical professional, as they fear being prescribed pills and tablets that they would rather not take. Is there a way to beat stress naturally? Thankfully, there is! In fact, there are quite a few ways you can naturally tackle stress and anxiety, and many people prefer these alternatives to medical treatment. Read on for some of the best natural remedies that can beat all kinds of stress. If you are feeling a bit stressed or anxious, you should try hugging someone! This isn’t quite as crazy as it might sound – when you hug someone, your body will release the love hormone oxytocin which is known for bringing down stress levels. In fact, any way you interact with loved ones should release this very important chemical in the body. So, you might also want to try calling an old friend or doing a good deed for a friend or relative. Many people who suffer from long-term stress and anxiety believe that keeping a journal really helps them stay in control of their thoughts and feelings. Plus, it can help you to pinpoint exactly what it is that you are stressed about. You can then try to tackle the source of the stress directly. Yoga is often said to be a great natural cure for stress because of the breathing exercises you need to do while holding the various poses. These breathing techniques can help to focus the mind and relax it. In fact, doing any kind of exercise is a great stress beater as it will boost the number of endorphins in your body, which are nature’s antidepressants! Did you know that there are some daily supplements that might help improve your mood and stress levels as well? Studies have shown that supplements that contain lemon balm can help people control their anxiety much better. Green tea is also thought to be a natural relaxant, as has valerian root. It’s worth asking a homeopath specialist about the best natural daily supplements to take for your stress or anxiety. They will be able to review your unique situation and come up with the best solution for you. One further point to make is that you should cut down on food and drinks that are known to trigger anxiety or increase stress levels. One particular drink that you should be very wary of is caffeine. It’s a good idea to stay well away from coffee and energy drinks as they have been linked to very stark increases in people’s stress levels. If you need more energy in your day, it’s best to sip on green tea for a natural boost. 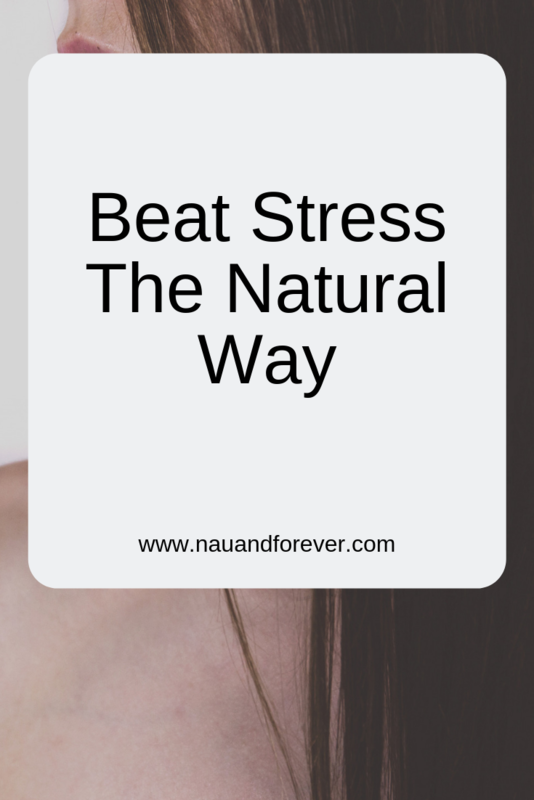 If you want to beat stress naturally, these steps are a great way to start. Depending on your level of stress or anxiety, speaking to your doctor is still a great idea. Growing up has many fantastic benefits. It’s a chance for you to become completely independent and stand on your own two feet. Not only that, though, but you will be able to start a family of your own and experience the joy of having children. Of course, you still need to know how to help your aging parents. As they get older and enter their senior years, you might need to start looking after them or thinking about any additional treatment and care that they might require. Many families struggle when parents start to age and they need constant care and attention. But it shouldn’t put too much strain on your family as a whole, though. In fact, if you use these next few tips, then making sure your elderly parents enjoy a comfortable life shouldn’t be too difficult for you. First of all, it’s necessary to talk to your whole family about this. In fact, you might want to hold a family meeting so that you can discuss this as one big group. Make sure all your siblings are there so that they each get their say and you can all split up responsibilities. Your parents should also be present at these meetings so that they can have their say as well. After all, it’s their health and well-being that you will be discussing and I’m sure they will have a few opinions and ideas! 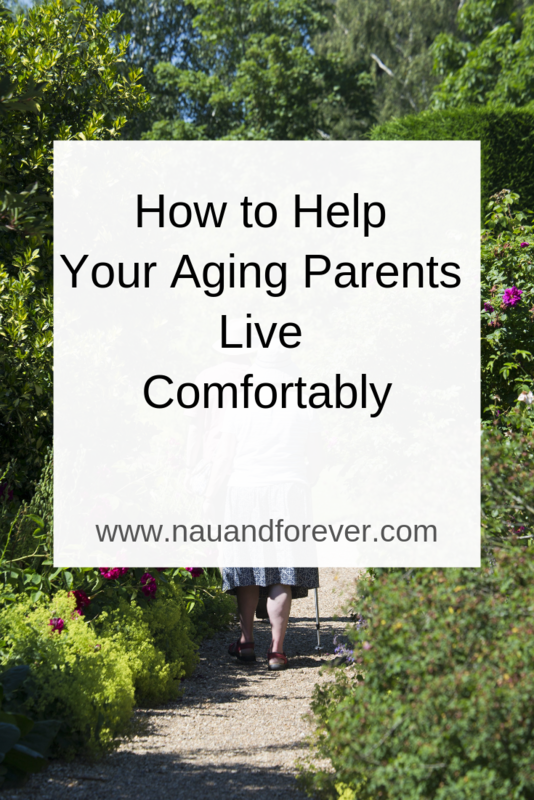 You need to think carefully about how much care your parents need now that they are older. It could be worth discussing this with their doctor, especially if they have any long-term health conditions or other specific healthcare needs. Some people require around-the-clock care when they get older, and might need to move into an assisted care home, for instance. If this sounds like something your parents might benefit from, you should start finding a care facility for them before it’s too late. Their needs might be too big for you to care for them at home. Your family will have to carefully calculate how much you can afford to spend on your parents’ care and treatment. Unfortunately, some care options can be very expensive and you might be unable to afford them without any financial help. It’s a good idea to check with your local government to see if your parents are eligible for financial relief or benefits if you think you will struggle to keep up with care costs. Make sure that you don’t leave it too late to start planning any care for your parents. It’s best to set some plans in place early on so that you aren’t rushing about when it is too late. This will also give you the chance to save up if need be. It’s not something you want to think about, but it’s important to know how to help your aging parents. You want to be prepared when the time comes to provide them with the best care possible. They helped you, so it’s time to return the favor. Sometimes in life, no matter how well you eat, how much you exercise, and how much sleep you get, you may occasionally feel like something simply isn’t right. Not feeling 100% and not being able to pinpoint why is very frustrating because it can leave you wondering how to get yourself back to full health again. 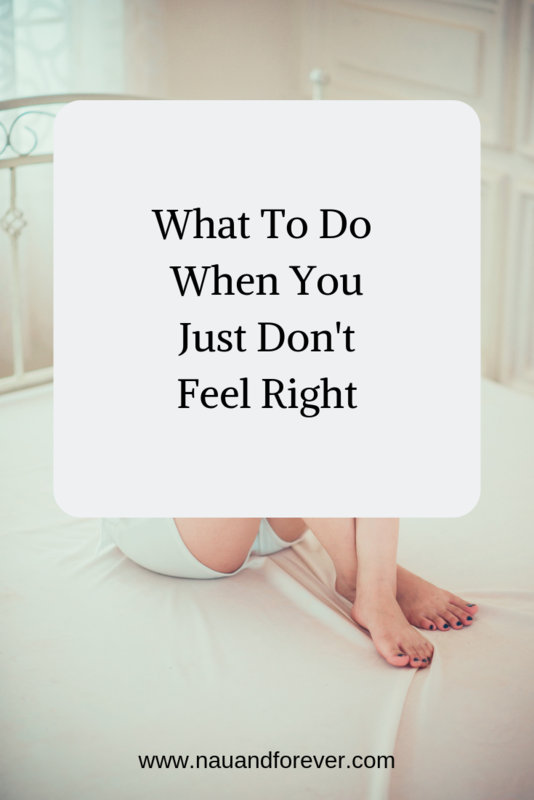 There are many different things that could be causing you to feel this way that won’t be showing physically, so take a look at these solutions on what to do when you just don’t feel right. Poor mental health can take a huge toll on a person’s body, especially if they don’t even realize that they’re suffering from mental health issues. Ask yourself whether you’re coping as well as you thought you were mentally and whether any factors in your life could indeed, be affecting the way you’re feeling. More often than not, people find that they are stressed or anxious about different things, and once they have addressed these issues they find that they are feeling much better indeed. Remember that your first port of call should always be your GP if you’re suffering from your mental health. Speaking of GPs, if you’re not feeling right then you should definitely go and see your Doctor. They will run through a plethora of different questions and examinations to help determine why you’re feeling the way that you are. Your doctor may even refer you for an in body scan (otherwise known as a CT scan) to help figure out the cause of you feeling unwell. Remember to be truthful about your lifestyle as sometimes this can have a huge effect on the results your GP receives. Lifestyle choices can also contribute massively to the way you’re feeling, and if you think that this might be the case for you, it’s a good idea to use the process of elimination. Perhaps you could remove alcohol consumption from your lifestyle to see if that helps, or maybe change the kind of diet you follow. It’s not impossible for people to develop food intolerances later on in life, so using the process of elimination will help you work out what you should and shouldn’t be eating. Finally, sometimes all you need is some time for yourself to do the things you love, especially at this time of year. With Christmas festivities on their way, you may just be feeling a little overwhelmed at everything coming up over the next few weeks. So, take a long hot bath, pamper yourself, have an early night, and you may just wake up the next day feeling as good as new! It can be overwhelming and frustrating when you just don’t feel right. Slowing down can be super helpful. If you want more tips on mindset and living a healthier and happier life, check out this post! If you want to feel like you’re living in a secure home then you are certainly not alone. So many people are worried about criminals breaking into their property and this can make it hard to feel safe. If you want to get around this or if you want to make your home feel much more secure then there are a few things that you can do about this. Did you know that 34% of burglars stroll right in through the front door? For this reason, you have to make sure that you really secure your doors as much as possible. You need to inspect your exterior doors and you also need to make sure that your door frames are strong as well. The hinges should be protected, and if your door has a mail slot, you have to make sure that someone can’t reach through it in order to unlock the door. You might also want to install a deadbolt and look into a strike plate. If you have glass doors then you may want to take some extra steps for a secure home. Reinforcing your glass doors is very easy to do. You can go old-school and use a window bar, or you can even use a dowel in the track to try and stop the door from being forced open. If you want to get a high-tech solution, then consider adding a door sensor or even a glass break sensor. This will alert you if the glass door has been tampered with and it will also scare off any thieves at the same time. It doesn’t take long to do this, but it could help to stop your home from being broken into. Windows are also a very popular entry point for burglars. Standard latches are usually not effective at all. Sometimes they can even be flimsy, and this is the last thing you need when you are trying to secure your home. If you want to get around this then you need to try and improve them by having some key-operated levers or even some upgraded locks in general. You don’t have to stop there either because you can also have some window security film installed or even window bars. 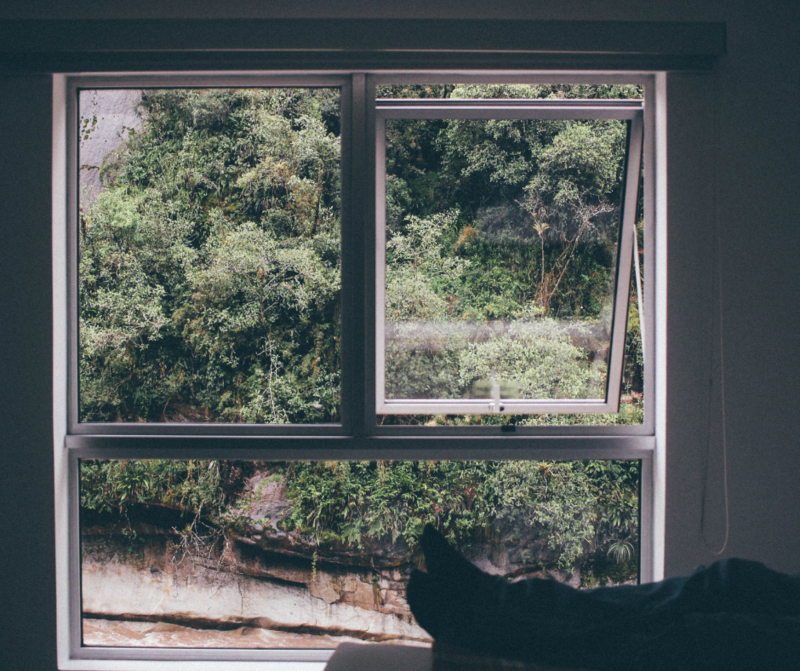 A lot of people also like to have prickly bushes outside their first-floor windows as well, as this will help to deter anyone from looking in for the near future. Vandals, burglars, and various other criminals really don’t like to be in the spotlight. For a more secure home, you need to try and keep intruders at bay by having some high-quality lights outside your front door. If you want to make the most out of your lights then it helps to get ones that are motion activated. You can even get solar powered lights as well if you don’t want to spend too much money on their operation. This will really help you to make the most out of your security and it will also help you to deter criminals as well. This entry point is becoming even more popular with criminals as time goes on. If they can’t access your home then they may think that they can find whatever they need in the garage. If you want to try and protect yourself then you may want to keep your garage door opener in the house. This way a burglar can’t use it to break in. You might also want to look into a smart garage door opener as well. if you have windows then these need to be covered up and you may also want to get some high-quality garage door locks too. Home automation means that you will never have to worry about leaving the garage door open again, so this is a very important point that you need to keep in consideration. Your home should have some form of security system. It doesn’t even matter whether it is a basic DIY system either, as long as you have something. In this day and age, there really are so many security options for you to choose from. They will suit every budget and they will also suit every level of protection as well. If you want to choose a system that you are comfortable with then you may want to chat with a security expert, as they will be able to help you with absolutely anything you need. Believe it or not, keeping your home secure is not just about preventing burglars. You also have to think about how you are going to keep your family safe from the items within your home as well. Sometimes a boiler can go wrong, gas can leak into your home and various other hazards. If you want to stop all of this from becoming a problem then it is so important that you have a fire alarm installed. You also need to make sure that you have a carbon monoxide detector as well. When you have one of these, you can then feel confident knowing that everything is in order and that you and your family are completely protected. Learn more about that here. If you know that you are going away, then it is so important that you are discreet about this so you can keep a secure home. You have to make sure that you don’t tell anyone and that you also don’t make it obvious. If you have a lot of mail coming while you are away, then it may be worth getting it redirected. This is especially the case if you are going away for a long period of time. If you have flyers continually posted through the door then you may want to ask your neighbor to get rid of them for you. When you do this, you can then feel confident knowing that you are not making it obvious that you are away. If you want to step things up to that next level then you might want to invest in a home automation solution as well. This can really help you to deter any criminals and keep a secure home. You want a secure home for your family. Following these steps can help you feel more confident that you and your family are protected. 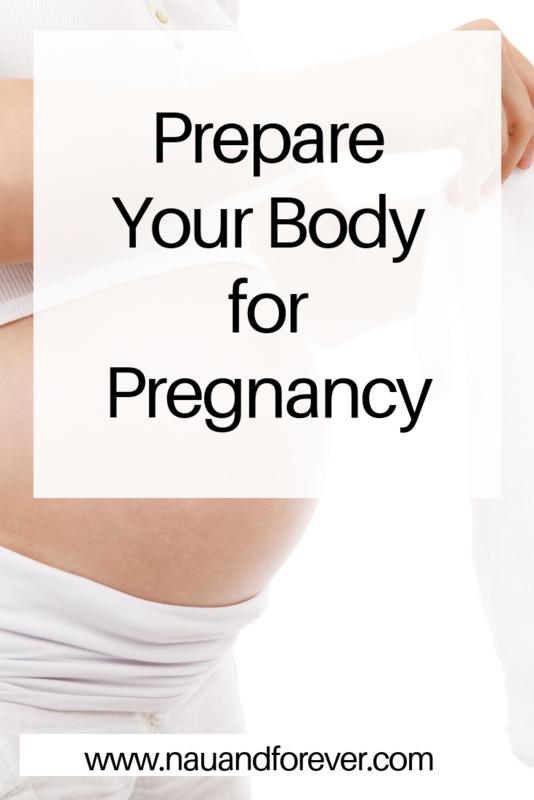 Preparing your body for pregnancy is one of the smartest things you can do if you want to have a baby. Sure, some people seem to fall pregnant super easily without having to do anything at all, but others do need to make some changes to ensure their body is a suitable place for a baby to be. Below, you’ll find some advice that will help you to prepare your body for pregnancy. It goes without saying that you need to come off birth control. Doing this 30 days before you want to conceive is a good idea so that the hormones have a chance to leave your system. You want to ensure your body is healthy, so start taking your vitamins consistently. Experts recommend a multivitamin and folic acid for those who want to conceive, but you may also want to do some research into other possible options. Ask your doctor if you should go ahead and start taking prenatal vitamins. Now it’s time to hone your diet. Get plenty of greens and fruit so that you improve your micronutrient count. This will also help you to stay at a healthy weight, which is imperative when you want to conceive. It’s a good idea to get some exercise 4 times a week, whether that’s swimming, walking, or resistance training. You can continue this once you’ve fallen pregnant, and many say it makes giving birth much easier. You may also want to schedule a preconception visit with your obstetrician depending on various factors, from your age to any issues you are having with conception. Make sure you cover anything you’re concerned about, from screening for sexually transmitted diseases (STDs) to screening for pregnancy readiness. If you struggle to conceive naturally you can also take this time to discuss insemination success with them. The sooner you learn all about your menstrual cycle, the better. You’ll be able to clearly see when you’re most likely to fall pregnant, and you might even be more prepared to spot issues earlier on, such as spotting and irregular cycle lengths. You can do this manually or there are apps that can help you. A stressful body is not somewhere a baby wants to grow. Make sure you find ways to relieve stress, such as meditation, deep breathing, and yoga. Make sure you take time for self care, too! If you’re not already at a healthy weight, do your best to get to one. Make sure you’re eating to support your goals, whether you need to gain or lose it. Make sure you begin treating your body as if you’re pregnant now. This means no smoking, no drinking or drugs, and treating it carefully so that you can grow your baby in the healthiest way possible.